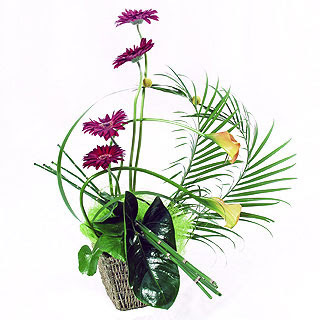 When you are trying to learn about floral design, it is best to have a basic understanding of the elements and principals involved in floral design. 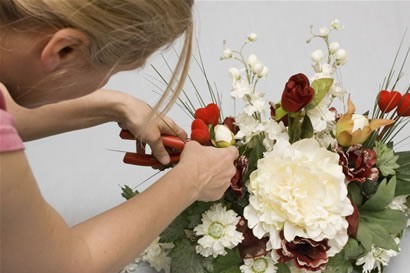 Each of the principles and elements are important to know and understand as they will allow you to create beautiful floral designs on your own. While most people don’t realize it, they may already know these principles and elements to floral design having never read or studied the information. 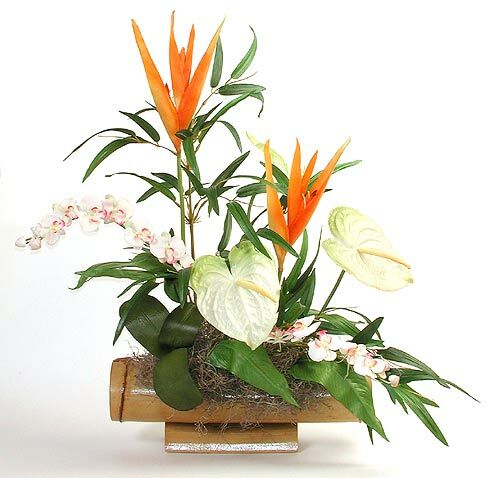 We want you to design the best floral arrangements that you are capable of and enjoy the art of floral design. There are 8 basic elements of floral design that you may not realize that you already knew. 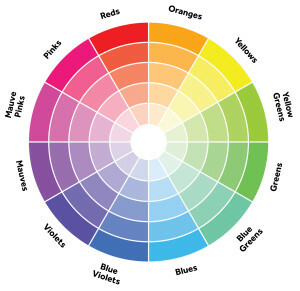 These elements are line, form, space, texture, pattern, fragrance, size, and colour. Understanding each of these elements will help you decide what flowers to put in each container and how to get the most out of the available space for your floral design. Here are the basics of each element so you can get a better grasp on why they are so important to floral design and how they will make you a better creator of floral designs. Line is a very basic element as it pertains to the visual path your eye takes through a composition. It mainly refers to the distance in between two points. Though these visual pathways direct your eyes movement through the floral design, they also allow the person viewing the design to take in more of the details when properly directed. It is important to understand that line will also make the design more pleasing to look at as well since it will help to attract the eye to the piece. You can create lines through vertical, horizontal, diagonal, and curved lines which create different feelings for the viewer. Vertical lines are a signal of strength and power while horizontal lines are more peaceful and calming, diagonal lines are more energetic and require more movement from the eye while curved lines are much more comforting. This more refers to the overall shape of the floral design. 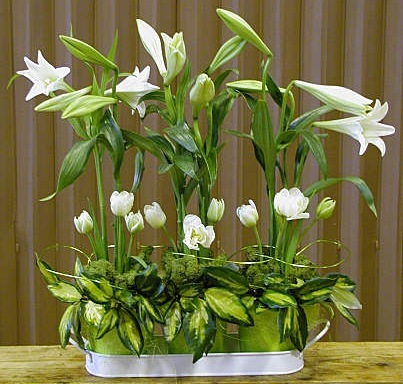 Form is based off of this overall shape and configuration of your floral design. If you look at the design’s shape, you may notice that some arrangements possess triangular, circular, or rectangular shapes that also attract the eye though the way the design is composed and configured. You can use any shape that you choose in your design such as hearts, squares, circles, and stars. These will also make your arrangement more unique. There are two types of space when you are working on a floral design, Positive and Negative space. This is based on the area in, around, and in between each of the components of your design. You don’t want to leave too much space between flowers or squish them together too much as it can make the design appear unpleasing to the eye. Use your space wisely. Texture is another huge part of floral design as it is how the surface material is perceived through sight or touch. If you are using a vase that is smooth, coarse, waxy, etc. This goes for both your flowers and your containers as well. Use texture in all of your floral designs and experiment with different combinations to see what looks the best. You may be surprised by the numerous combinations you will be able to come up with just using texture. Patterns are easy to understand as we all know about the repeating composition of colours, shapes, textures, and so on. This is easy enough to create with any element being used more than once in your floral arrangement. And while this is probably the easiest element to implement, it can also be one of the hardest depending on the design you are working on. This is a huge part of creating the best floral design. When putting the fragrance element to good practice, you will want to consider the scent of each flower you incorporate in your designs. Smells can heighten our sense of awareness, sensory pleasure, and triggers memories. Our sense of smell is considered one of the strongest senses and is one of our most indulgent senses. Keep in mind that while you think the strongest aroma is pleasant, others may not agree, so if you are creating a design for someone else, consider their sense of smell as well as your own. You will also need to consider the combinations of fragrance you are working with, you may not want to combine lilacs and roses as one can cover the other and the same goes with tulips and hyacinths. And avoid combinations of fragrances that may seem bitter. When you are discussing size in floral design, size really does matter and should be considered first and foremost before anything else. You will also need to consider space as well, but if you don’t know the size of your floral design, you may run into a few problems that you will need to recalculate later down the road. There is also an emotional aspect when considering size as well that needs to be considered when figuring out the dimensions of space, form and line. Colour is created when light fragments bounce back the colour into our eye and stimulates our optic nerve. The visual response should be considered in each floral design as well as the emotional response. When you create a floral design, the colours you choose should create the feelings that you want to express as well as attract the viewer’s eye in a way that will stimulate that emotional response. It will also help you find balance in your designs as well as the right blends and contrasts you need to make your design unique. Why are these elements important? These elements are a huge part of floral design and will allow you to properly incorporate the content and composition of your floral design appropriately. While each element has its own individual purpose, it is also important to include these in each design in a way that makes sense to you. If you are new to creating floral designs or are extremely experience and just looking to refresh what you already know, by following these elements in your design from beginning to end you are going to help direct your creativity in a way that helps the design. Each of your designs should show these elements to help them attract the attention that they deserve. While you will want to read our article pertaining to the principles of floral design as well to give yourself a better understanding of how to design your floral arrangements for each event and purpose you are making the arrangement for. While these elements just scratch the surface of what you need to understand when you are creating your floral designs, they will help you to create your designs in a manner that will look appropriate and pleasing to the eye.